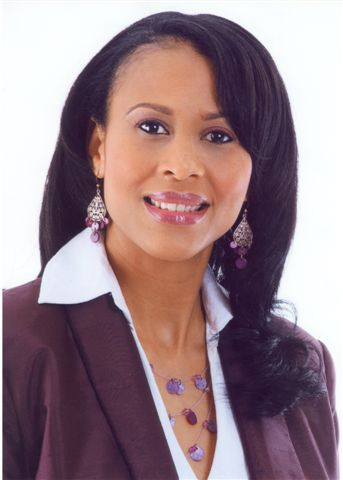 Michelle Singletary is a nationally syndicated columnist for The Washington Post. Her award-winning column, "The Color of Money," is carried in dozens of newspapers and provides insight into the world of personal finance. In 2006 “Your Money and Your Man" was a finalist for “Books for a Better Life," which honors the best self-improvement books of the year. This highly regarded award promotes the importance of a large and fast-growing segment in the book publishing business. Apparently he wasn’t the only one impressed. Michelle has appeared on all three major television networks, NBC, ABC and CBS. The Oprah show, NBC’s “Today Show,” CBS’ “The Early Show,” “Nightline” on CNN, “The View,” “Meet The Press,” the “Travis Smiley Show” on PBS and other national shows have all called upon Michelle’s financial advice at one point or another. And her television career only continues to grow. After hosting her own nationally televised show, “Singletary Says,” in addition to a personal finance special that aired in 2008 for TV One called, “Real Estate Realties: When the Boom Goes Bust,” which chronicled how the real estate crisis impacted the African-American community, she moved on to ABC’s daytime talk show, “The Revolution.” Her weekly segments give viewers a chance to learn about her personal finance solutions and better manage their finances. Michelle directs the Prosperity Partners Ministry program, which she founded at the First Baptist Church of Glenarden. Here women and men who handle their money well volunteer to mentor others that are experiencing financial difficulties. Michelle also started a prison outreach program where she and a group of volunteers regularly hold workshops to teach soon-to-be released male and female inmates how better manage their money. In 2010 she was named Ministry Leader of the Year at the First Baptist Church of Glenarden for the direction of both programs. In 2009 Michelle was selected to receive the Distinguished Alumni Award from Johns Hopkins University. She also received the 2009 Matrix Award for Professional Achievements from The Association for Women in Communications. In 1994 she was awarded a fellowship by NABJ to write about small, women-owned businesses in West Africa. While in Africa, she covered the 1994 election of Nelson Mandela and shared the lead story on Election Day with the Post's foreign correspondent, writing about a Soweto family's day at the polls. She is a graduate of the University of Maryland at College Park and Johns Hopkins University, where she earned a master's degree in business and management. Michelle and her husband currently reside in Maryland with their three children.